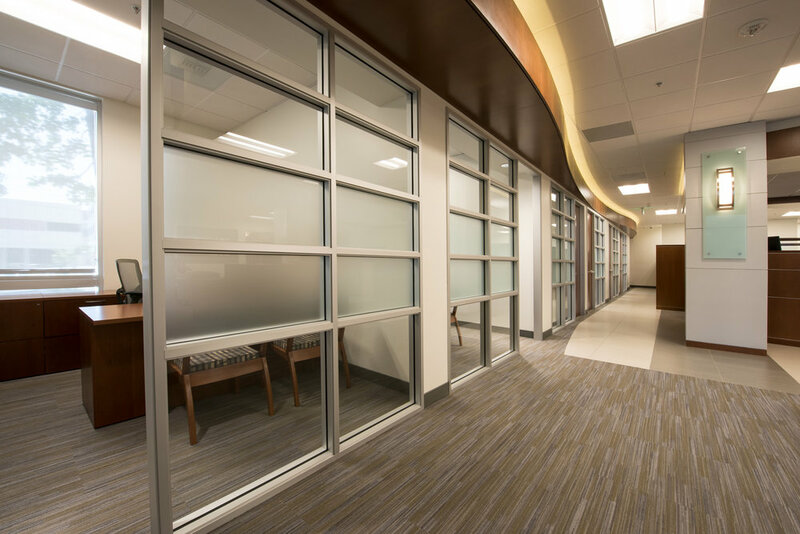 This project required construction from a cold shell with the installation of all new electrical, HVAC, and plumbing. 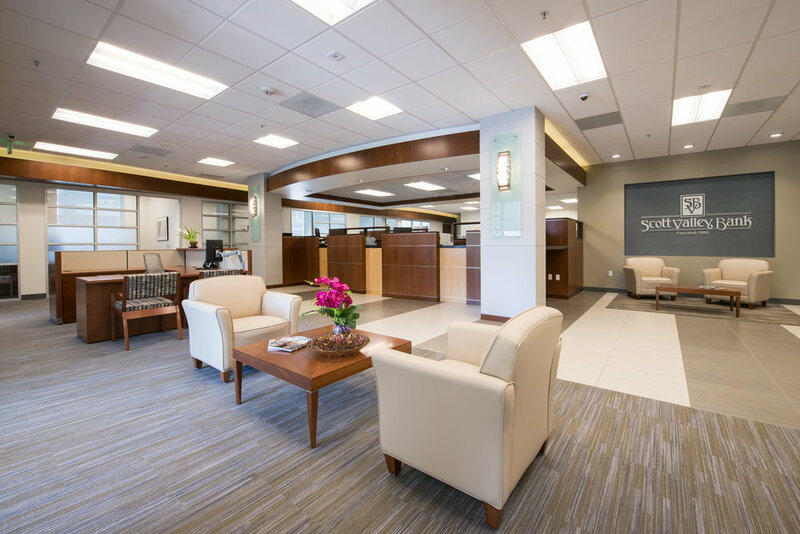 Upgraded finishes included curved ceiling soffits with wood veneers and LED strip lights, teller stations with granite countertops and wood veneer cabinets with stainless steel in-lay reveals. ARCHITECT Studio Benavente Architects, Inc.